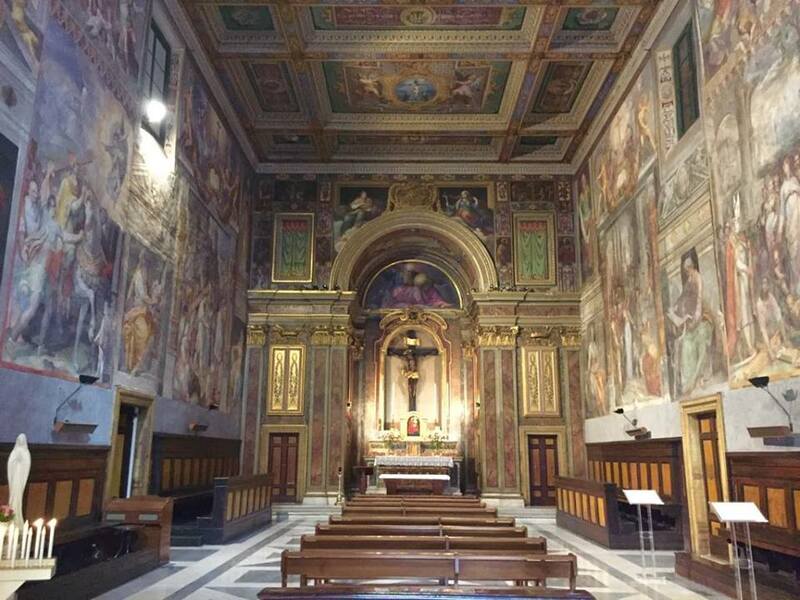 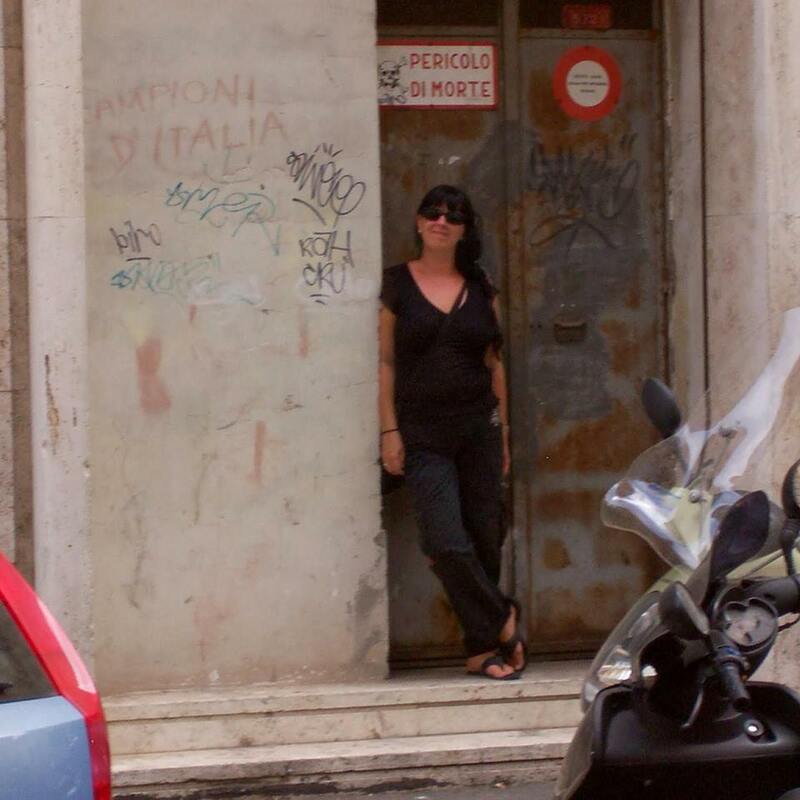 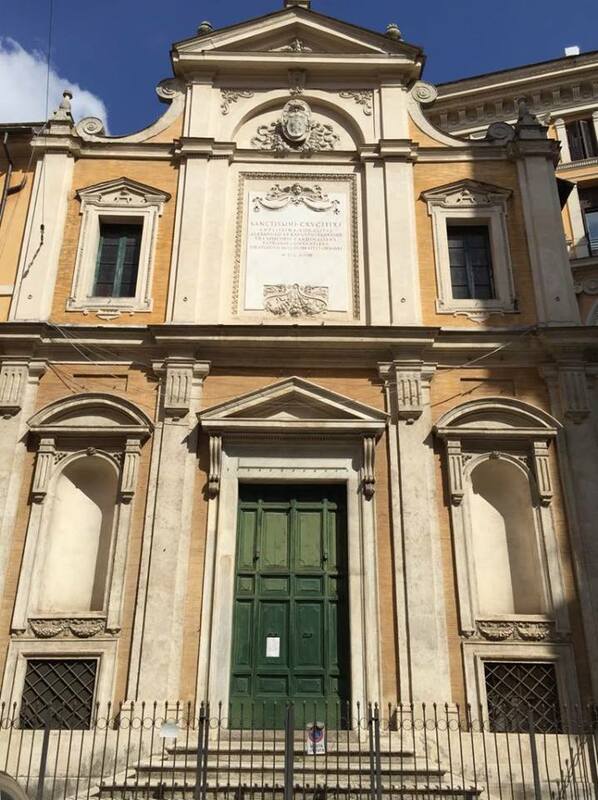 The Oratorio del Santissimo Crocifisso (Oratory of the Most Holy Crucifix) is a small church in the neighbourhood of Trevi. 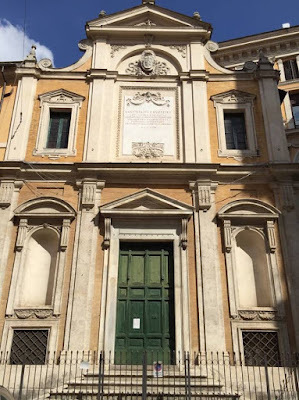 In the 16th century, after a crucifix was miraculously saved from a fire that destroyed the church of San Marcello al Corso, rich cardinals from the Farnese family commissioned Giacomo del Porta to build an oratory not far from the church (on the facade of the oratory is the Farnese coat of arms). 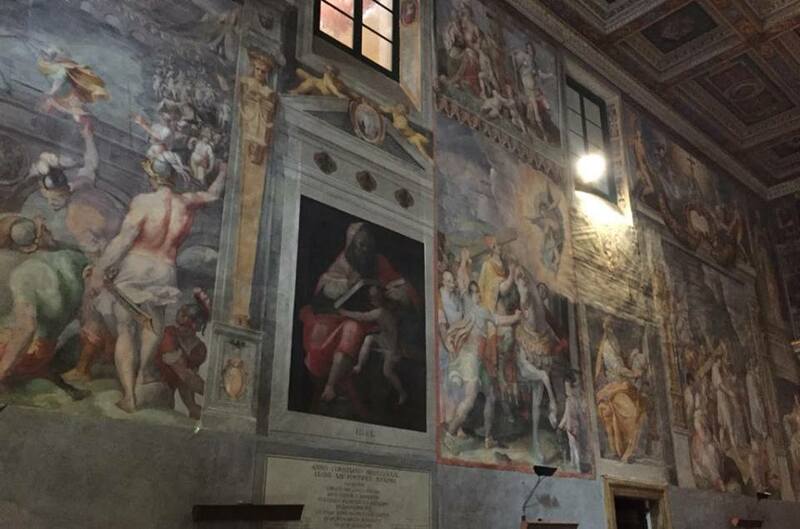 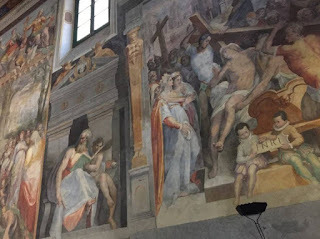 Inside the little church every wall is frescoed with scenes showing the Miracle of the Crucifix of San Marcello al Corso, and the Legend of the True Cross by artists Giovanni de'Vecchi, Niccolò Circignano, Cristoforo Roncalli, Cesare Nebbia, Paris Nogari and Baldassarre Croce. 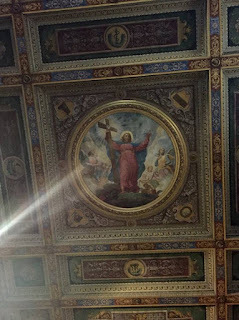 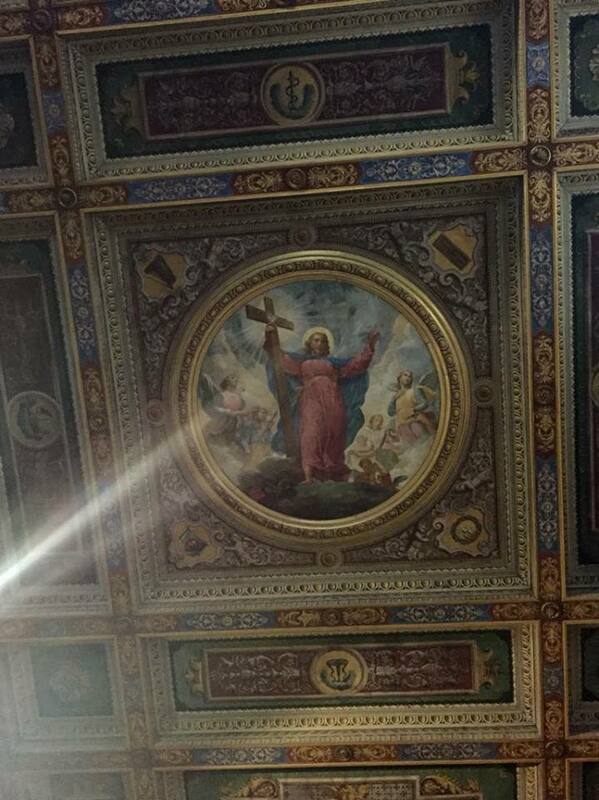 The beautiful ceiling, frescoed by Giovanni Gagliardi, dates to a late 19th century restoration of the church.